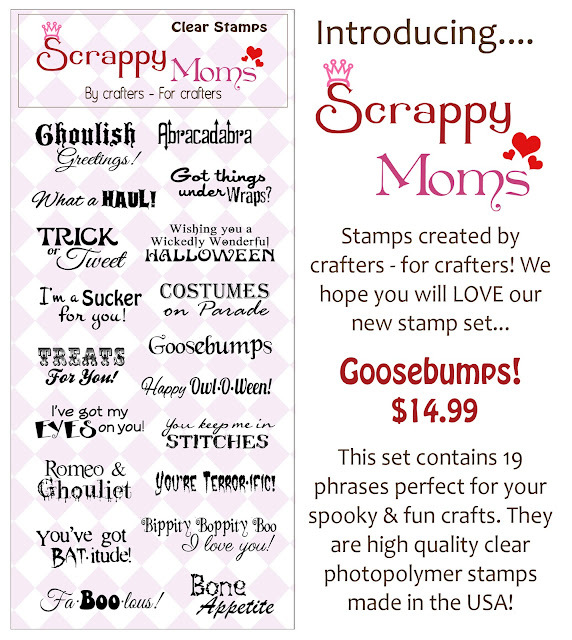 Techniques by Trish: Scrappy Mom's Goosebumps Release! Today Scrappy Mom's is releasing their new stamp set called Goosebumps! It is absolutely PERFECT for Halloween which is right around the corner...crazy to think that summer is over already! Want, or as I would say...Need, this stamp set?!?! Great News! Scrappy Mom's is having an End of Summer sale from Today (Sept 7) to Sunday (Sept. 16) for FREE SHIPPING!!! 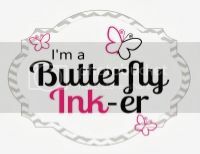 So be sure to order your stamp set!! For my project, I decided to do a funky shape card. When I think of halloween, i think of fun/wonky shapes....thus my inspiration for card base. I kept this card simple and I like the clean look it has. Hope you guys enjoy the project! Be sure to checkout the other creates by the design team members by clicking on their name on the right sidebar! Love that cartridge! That monster is perfect for that sentiment!